How Accessible Are Your Products and Services? What if we could put your audios and videos on auto and help you build your list?? If you are not using automated promotions you are working extra hard! We can help you with your marketing efforts and promote your business and help you automate. We can set up your offer to show up 24/7, 365 days of the year. Each month your promotion is reproduced in a new magazine issue. We also include your link so that readers can subscribe to your list and find out about your offers. You can set up your video tutorials to run 24/7 at the special charter member rate, while it lasts, as well as build your following, and we’ll help. Right now we have a special Charter Member Offer, but we are now reviewing the rates. 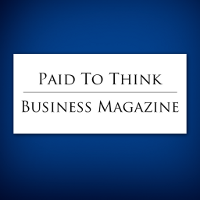 Currently, you can get one advertorial, or video, or audio, as well as, a bio and image and a link to grow your list, in Paid To Think Business Magazine for $100 per month. This is a discount rate and a small part of what other members will pay to advertise.